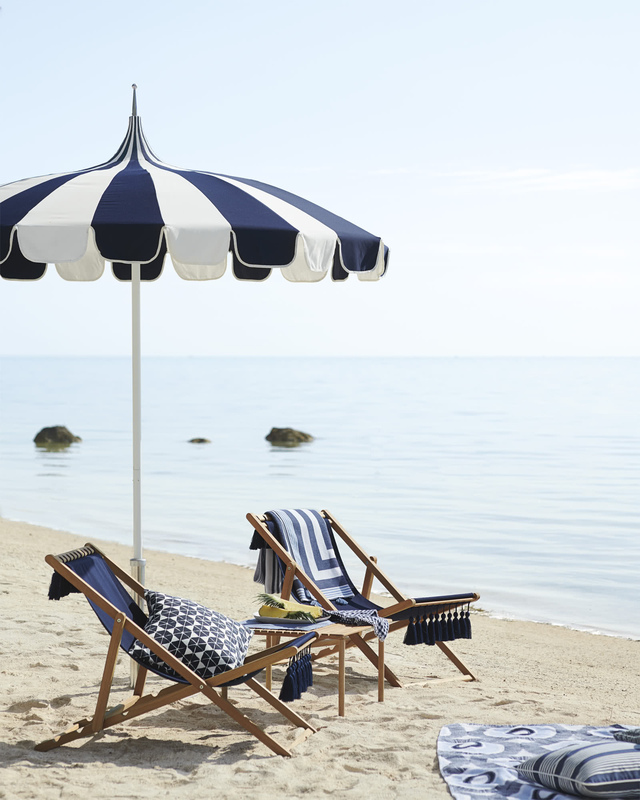 Eastport Striped UmbrellaEastport Striped Umbrella, Navy/White alt="Eastport Striped Umbrella, Navy/White"
Print We love the old-school glamour of this pagoda-style design and playful look of the scalloped edges. 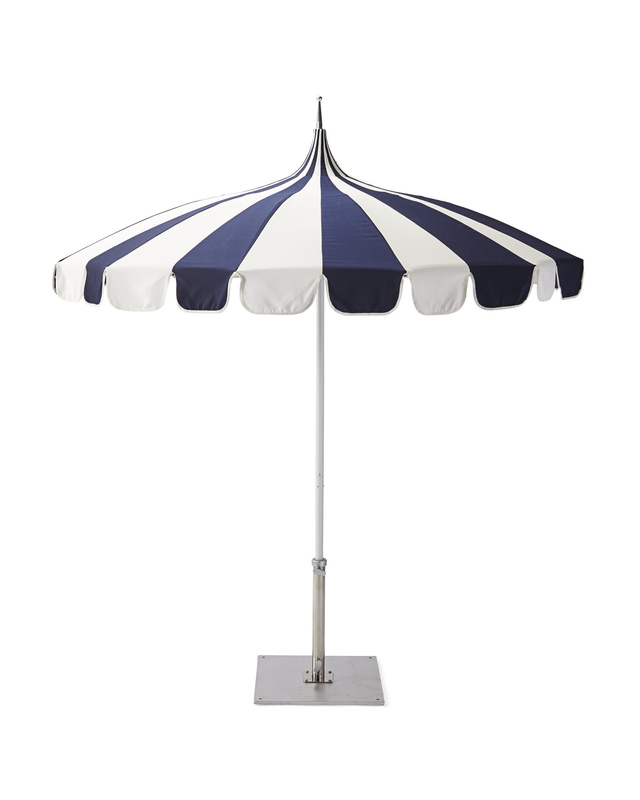 A weighted base (sold separately) keeps the umbrella steady, even in shifting seaside breezes. Pole is made of white powdercoated aluminum; pole does not tilt. 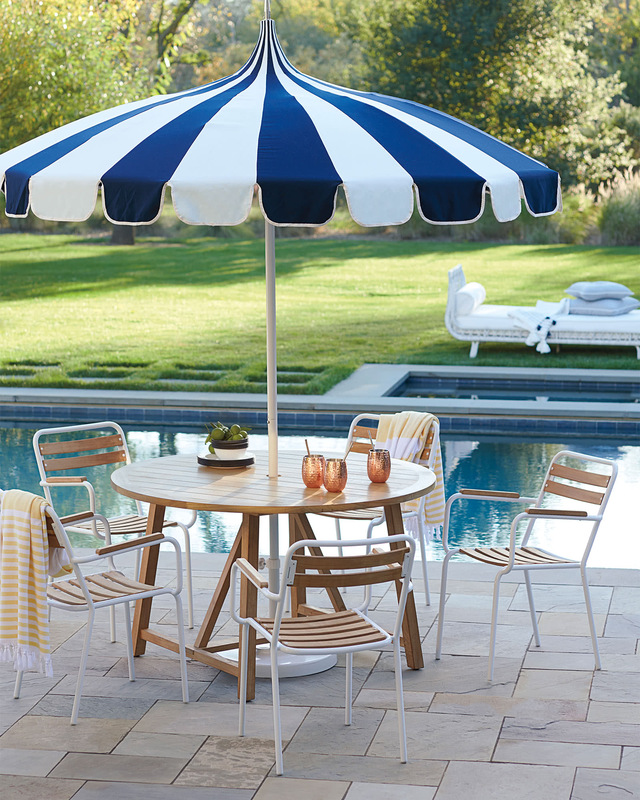 Shade features a steel frame, hub, and housing, as well as all-weather Sunbrella® fabric which is designed to repel water, resist mildew, and stand up to extreme sun, heat, and rain without fading. Square base (sold separately) is made of galvanized steel with a silver anodized finish. Clean with a mild, water-free solvent and water. Avoid the use of chemicals and abrasives as these will damage the finish. 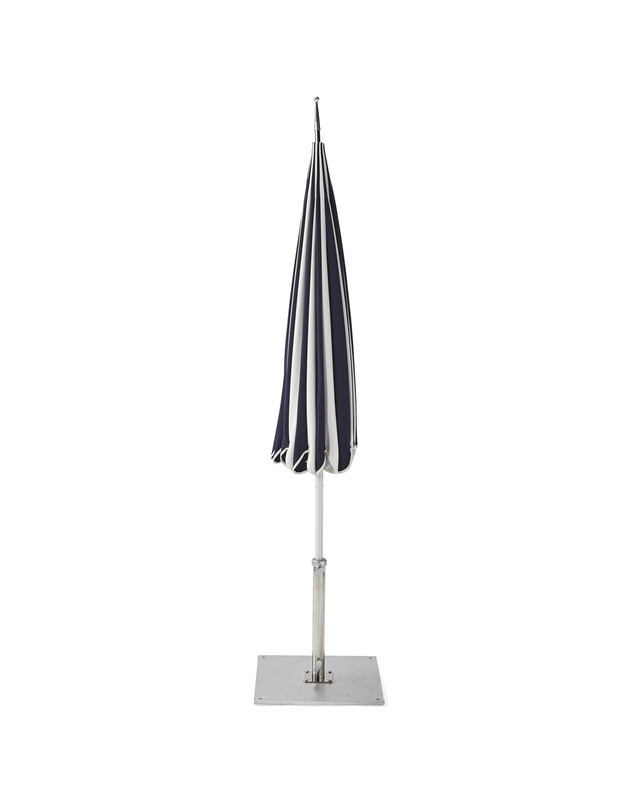 Umbrella :102”Diam x 109.5”H overall. Base (sold separately): 24”SQ; 110 lbs.